Unique Team Building Activities Arizona! 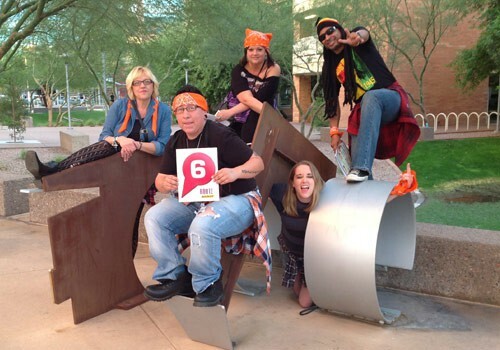 Why did we decide to open our second office for team building in Arizona? Well, as Joseph Stacey once said, “God lives everywhere – but – He vacations in Arizona.” And, we know He’s not the only one! It is also an ideal location for groups to meet! And, because so many wanted to do team bonding in Arizona, it became a wildly perfect place to set up shop. You can book any of our Wildly Different team building events in Arizona. But, if you’re looking for themed team building events in Phoenix or team building events in Scottsdale, these certainly compliment your surroundings! We offer both indoor and outdoor options for covering a wide range of team building activities. 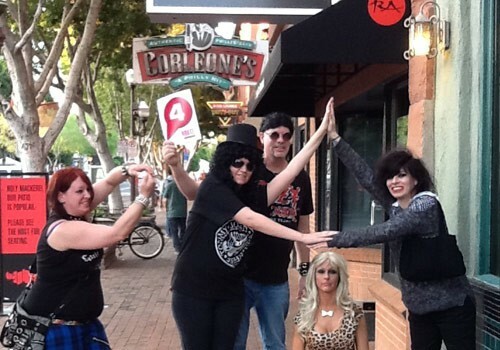 We can also provide great team building options for Tempe, Tuscon and other Arizona locations. Regardless of what city are looking to hold a team bonding event, our unique activities run the gamut from escape room challenges, competitive chases, charity events, scavenger hunts and more. We also offer custom team bonding programs too. What kind of event do you host when you want to do team building in Phoenix, or a team building in Scottsdale, but you want your guests to explore cool places? Combine a visit to a place like downtown Phoenix, Old Town Scottsdale or the Desert Botanical Gardens with a treasure hunt! Choose from a traditional hunt, or go high-tech with our fōnhunt or iPad hunts. And, the best part? We can weave in your company information with custom clues! In this event, your group harkens back to the days when covered wagons spotted the Desert Foothills. Things get rolling as your group transforms carts and the materials provided into covered wagons and their people into the “horses” that pull them. Alternatively, teams can transform the carts into airplanes – the perfect team building event in Phoenix or Scottsdale’s airplane hangers! Teams win awards for the best looking wagon or airplane and for being the fastest to complete an obstacle course that all teammates are involved in at the end. If you are considering a culinary team building event in Arizona, how about one where your team gets to make their own sauces and salsas using Arizona’s best produce? It’s one part taste test and one part marketing competition as teams compete for the spiciest presentation! The desert can sometimes be a mysterious and treacherous place – one that several have had to escape in the past. In that circumstance, it’s no fun. But, in this circumstance, it is! Teams race to beat the clock to be the first, not to get out of something, but to get into it. The first team to unlock the box in the center of the room using the western-themed props and clues on their team table and around the location wins! This game show celebrates all things Arizona! A series of challenges are introduced, interspersing some mental and some physical challenges to keep the energy level high. And, because this is a team building event, the entire team participates in the challenges – not just a few people on stage! Choose from Arizona Trivia Challenges, Musical Challenges, Visual Challenges, Quick Play Challenges and more! There have been many movies shot on location in Arizona and with this team building event, your group can get in on the action too! Teams get an iPad with a special app that allows teams to shoot a series of scenes using Phoenix and Scottsdale as the backdrop. The app then instantly edits them together, so they’re ready for viewing in an Oscar-worthy ceremony as soon as the filming is complete. Looking for an authentic desert experience? If you’d like to explore local hot spots such as Old Town Scottsdale, Downtown Phoenix, Tempe or enhance a Jeep tour, this GPS scavenger hunt will allow you to do so together as a team. Teams use an iPad or phone to unlock coordinates that reveal photo and video tasks, trivia about the area, clues and puzzles. There are a number of Air Force Bases in Phoenix and Tucson, so if you’re looking to do a charitable team building event in Arizona, consider doing one that benefits our soldiers and their families. Teams compete in a variety of challenges to open boxes revealing items that are donated to our troops once the battle is complete. Arizona is home to some of the most beautiful plants and flowers, as the Desert Botanical Gardens in Phoenix proves. 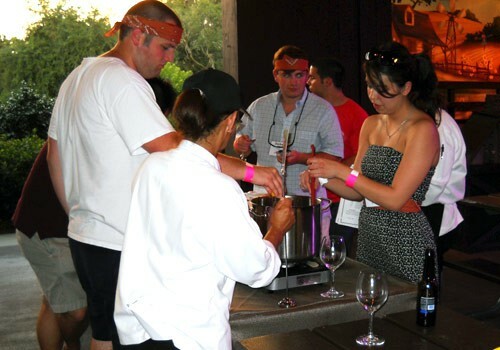 In this charitable team building event, guests transform pots with Arizona’s beautiful botanicals. These are then donated to brighten the lives of those in Phoenix and Scottsdale, such as the elderly in a nursing home, or hospital patients. Arizona is one of the world’s premier golf destinations. But, there’s not always enough time in your schedule, or tee times on the courses, for your entire team to play. In this charitable, golf-themed team building event in Arizona everyone can participate! Teams build their own mini golf hole out of canned and boxed foods. After everyone’s played through the course created, all of the items are donated “fore” a food bank in Phoenix or Scottsdale. 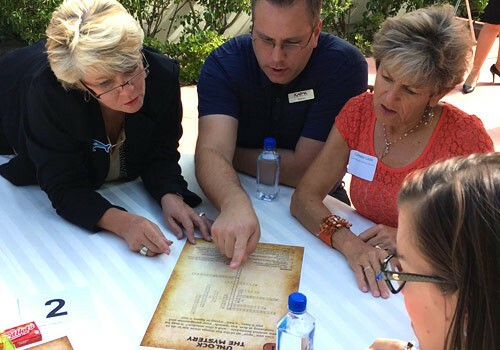 Plan Your Arizona Team Building Event Today!